NOTE: Longer Motherboard trays (EATX/HPTX) with Standard Front Panels and Horizontal Backs require front panel to be oriented with 5.25 cages on bottom. 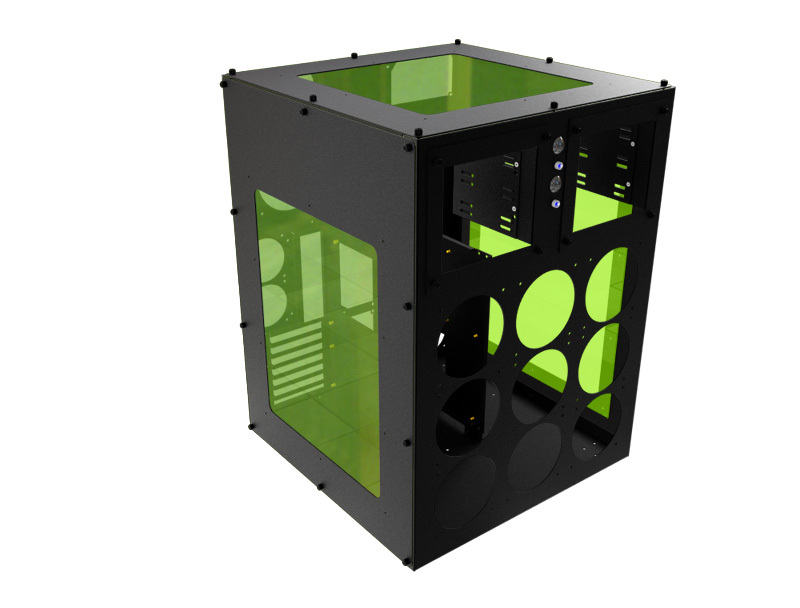 All Cases include 5.25 bays relative to front panel, motherboard trays relative to backpanel and other typical case parts - see instruction link above for details. 140.3 panels are all 20mm spacing. Trinity Panels are for 3 x triple 120 radiators - NOT MORA all in one radiators. If you want complete alignment with all in one radiators - you will need a custom panel.